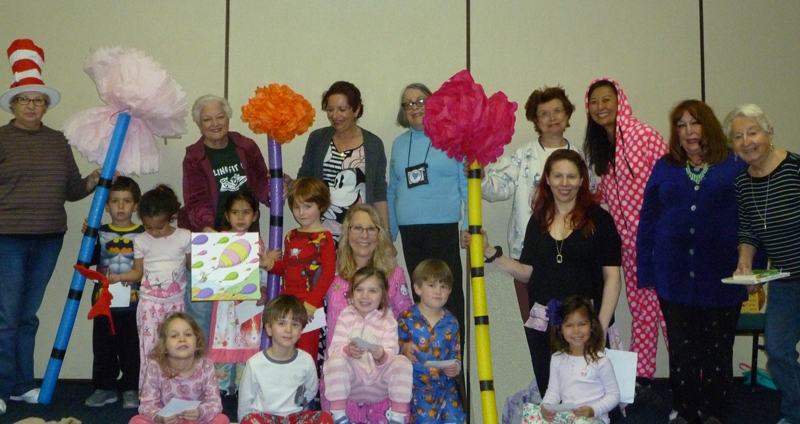 Ganon Gil Early Childhood Center at Temple Adat Shalom in Poway enjoyed celebrating a Dr. Seuss pajama birthday party with the Jewish Family Service Older Adult program on Wednesday. The children were delighted to have the seniors read them their favorite books. Marilyn Milne, Director of Early Childhood Education and Chris Maeoka, JFS Program Coordinator, partnered to plan the event, which included a snack, lots of fun decorations and a visit by two therapy dogs.